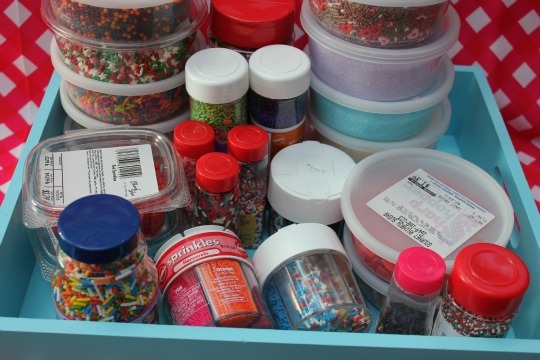 I'm kind of a Sprinkle hoarder. I have them stashed everywhere. Holiday mixes, shapes or solids I love them all. What's a cupcake sprinkle lovin' girl to do?? Color them herself - that's what! 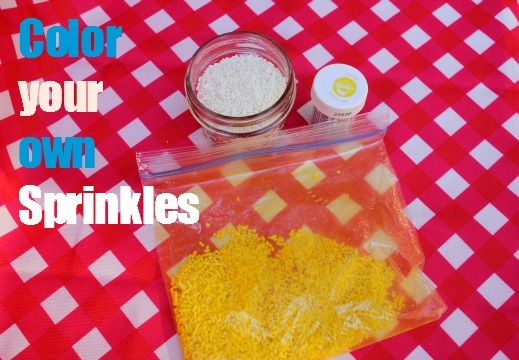 Put your desired amount of white sprinkles into a ziploc baggie. Dip a toothpick into the icing color and rub a little onto the inside of the baggie. Remember not to add too much. You can always add more if you need to. Feel free to get creative and design your own colors. Close the plastic baggie and shake. 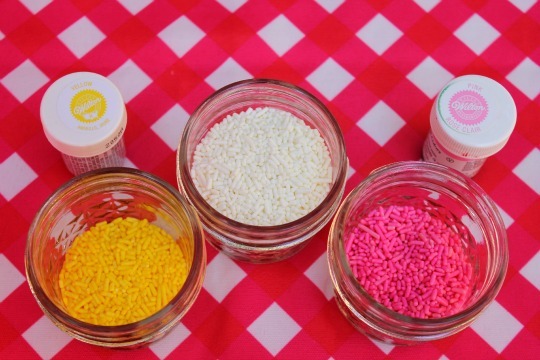 Gently rub them around with your fingers until all of the sprinkles are colored. Next unzip the plastic baggie and leave it open for the sprinkles to air dry before using or storing. I left mine overnight, but a hour or so should do the trick. Note for you local sprinkle lovers - I buy my white sprinkles at Sharp Shopper or the Dayton Farmers Market. You can get a good size container for cheap. Wish I would have seen this earlier as I just made pumpkin cut out cookies. Sure is good to know for the future.